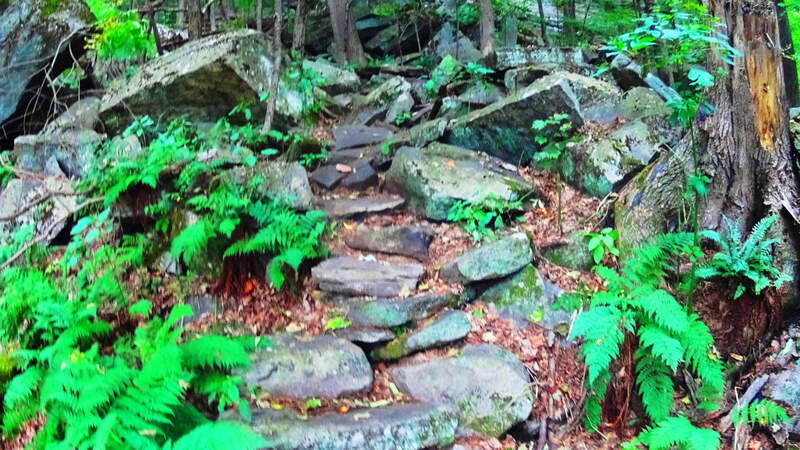 Note: Running along the northern border of Massachusetts is a unique set of rolling “small-mountain” ranges. 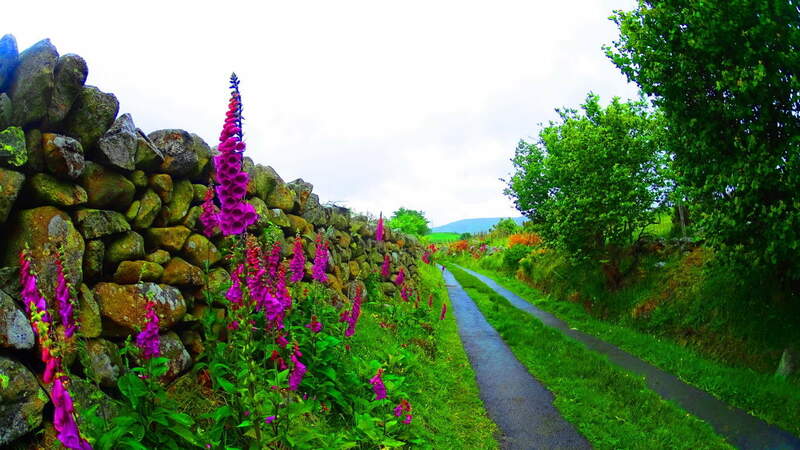 These elevations are too tall to be called mere hills, but too small to be known as full-fledged mountains. 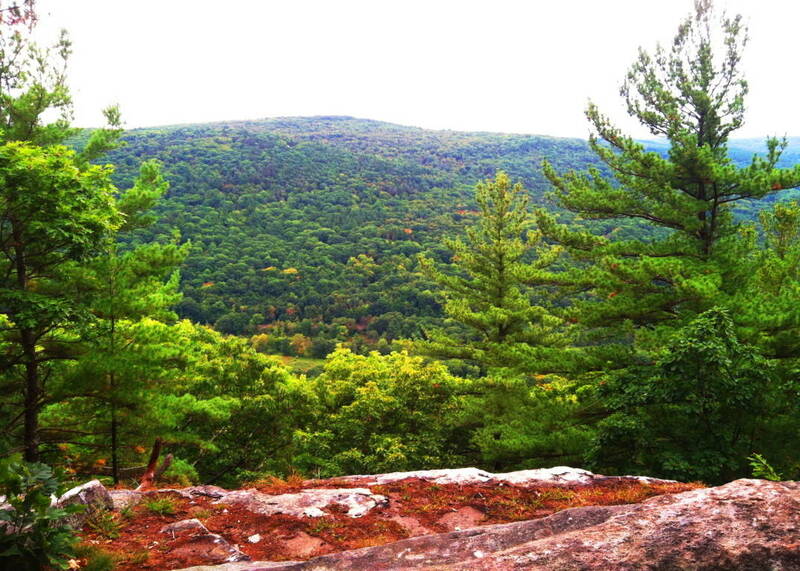 Rattlesnake Mountain sits in the heart of this range in the northwestern portion of the state, surrounded by similar small-mountain peaks in Monroe and Savoy to the west, with Watatic to the east. 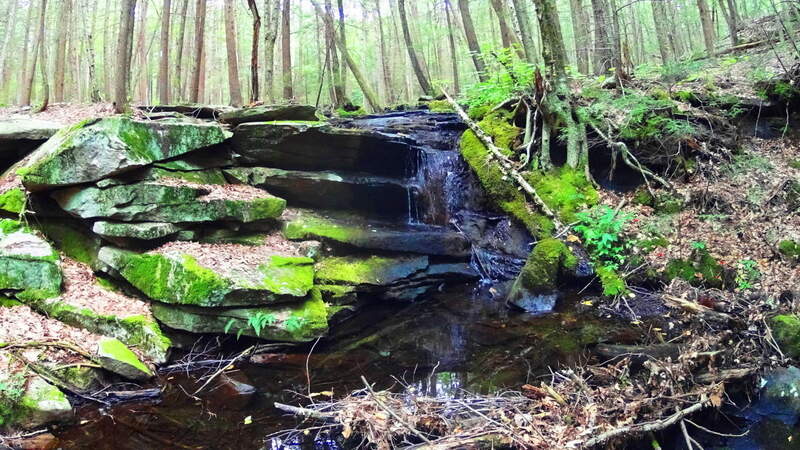 The woodsy entrance for the car park leading to the main trail at Rattlesnake Mountain is nearly hidden, just off Rt 2A, about 100 yards from Maple Ave, in the picturesque country-town of Erving. 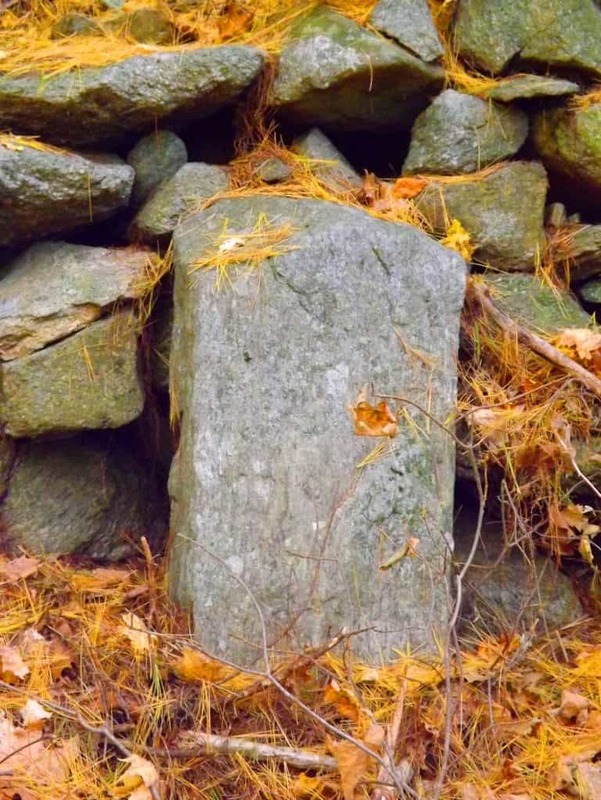 As you head east along the initial trail, passing by these monoliths and huge fixtures, there are other stones that emerge which are relevant to the patterns of megaliths in New England. 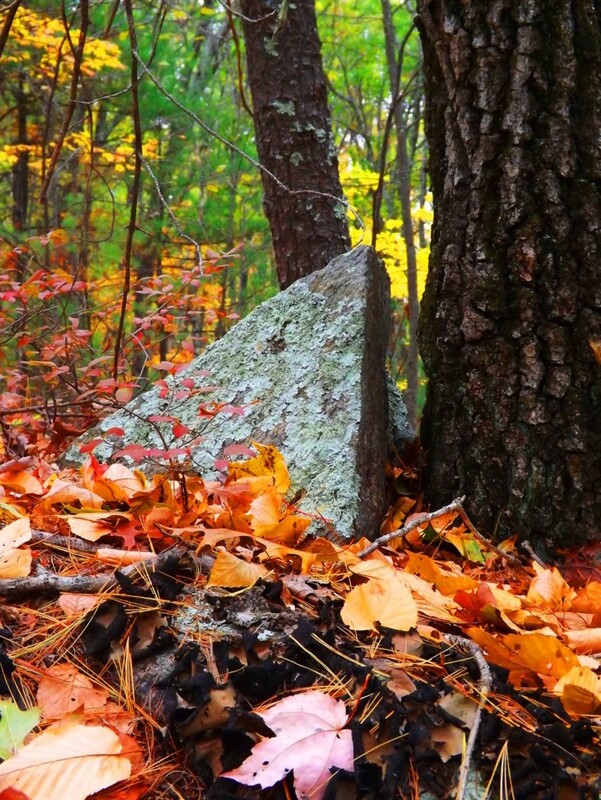 The equilateral triangle has showed its face in stone in almost every deep woods hiking trail and reserve from northern Maine to western Massachusetts. 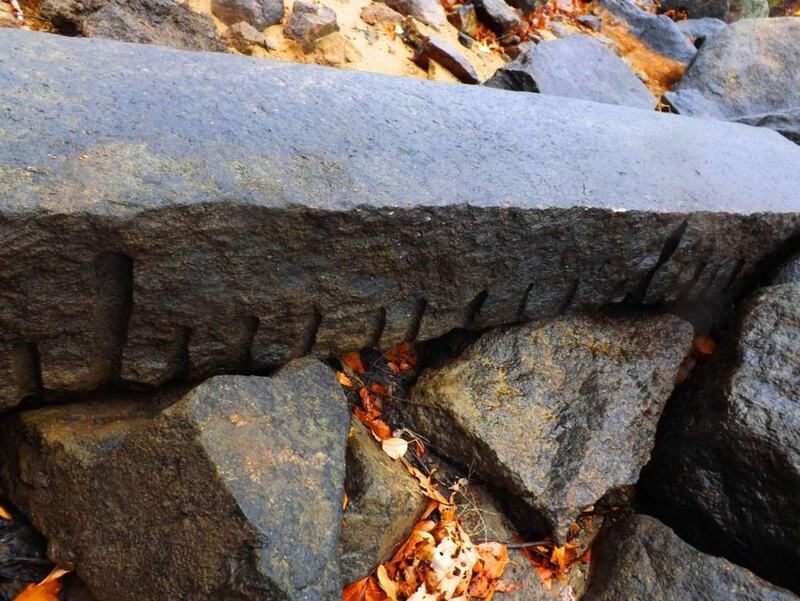 Here, somehow fixed into a boulder, was a perfect equilateral triangle (image below)… It is at the center of this massive fixture, with a cubicly cut stone to its left, and another perfect equilateral to its right. 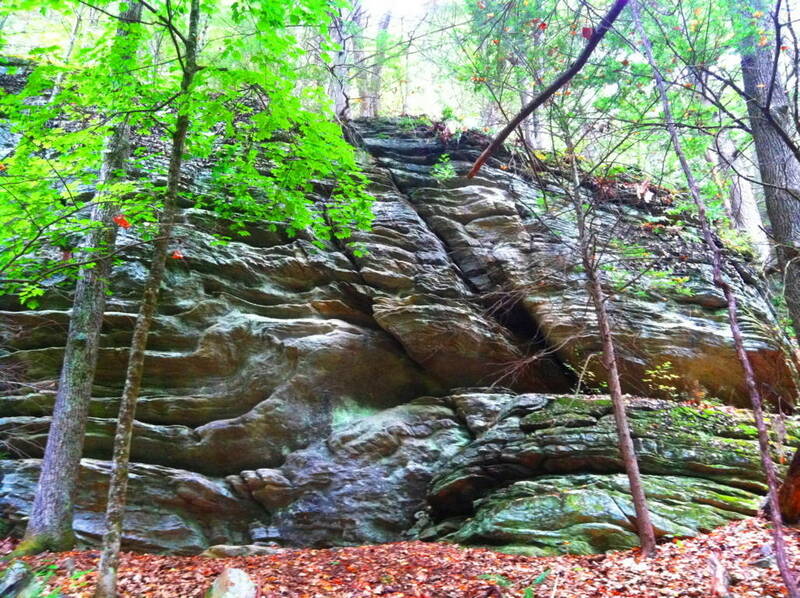 All of this is under a rock precipice serving as a roof which looks to weigh about 100 tons. 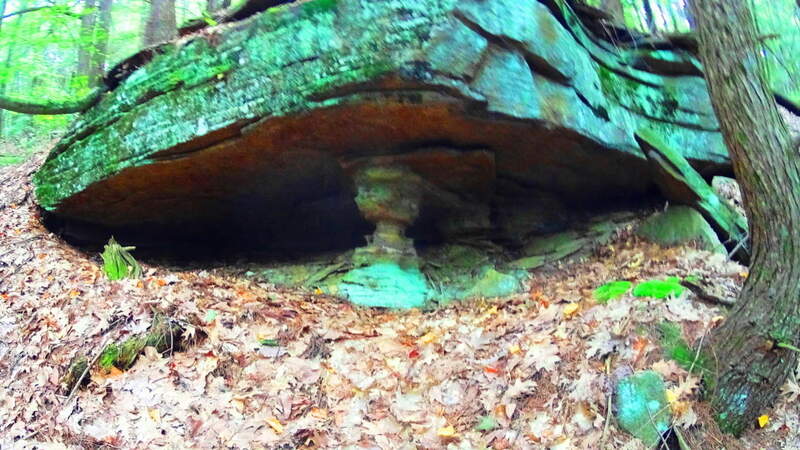 The overall symmetrical setting is above (image above), with the central equilateral in the middle, sitting on a perfectly leveled shelf of stone. 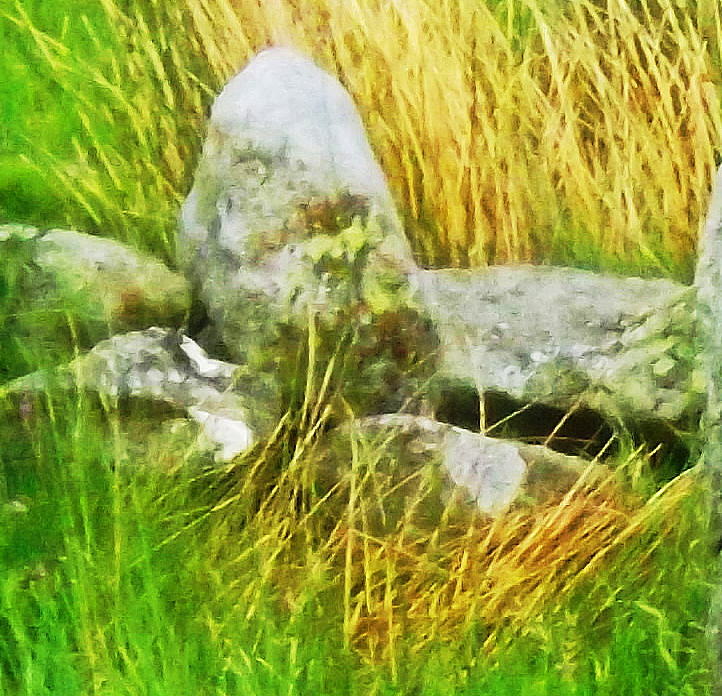 Please understand, this stone is part of the boulder beneath it; it was carved out to protrude specifically in this fashion. 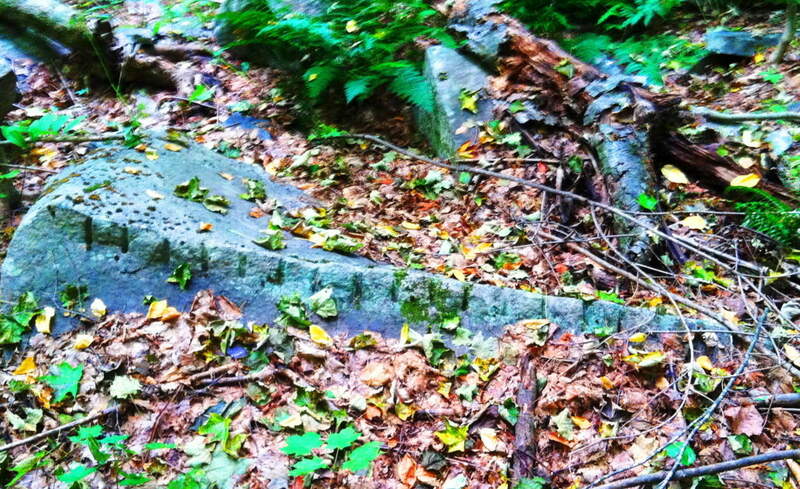 I could not move it. 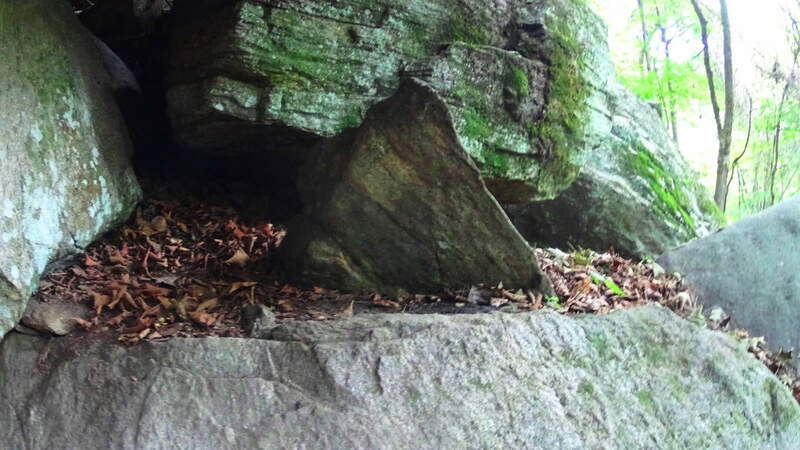 Here’s a closer look (image below) Just a few feet up the trail is another fixture with a equilateral triangle that is guarded by several massive stones. 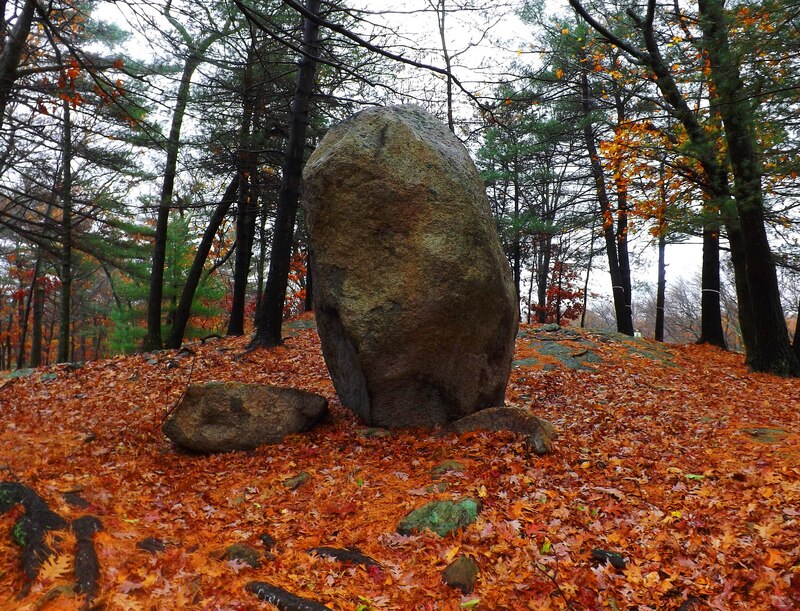 This stone is not only an equilateral, but is a three sided prism that is connected to the boulder beneath it. 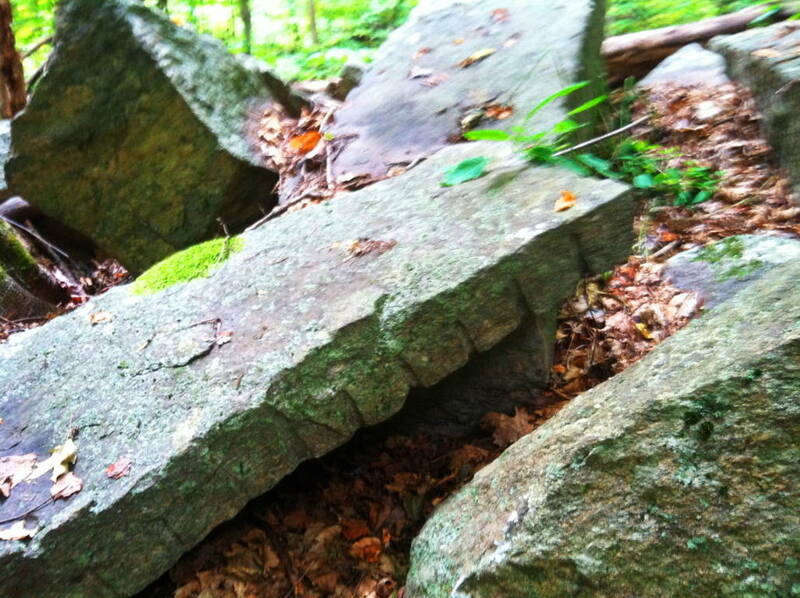 (image below) In the woods of Upton Massachusetts there are granite cut equilateral prisms attached to the boulders beneath them (image below), extremely similar to these stones found at Rattlesnake’. 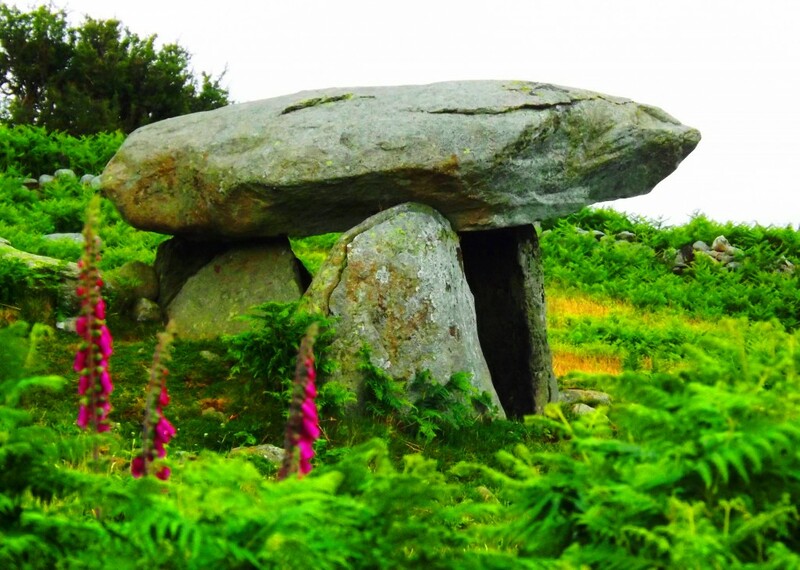 I believe the Triangle is the megalithic “calling card” of the ancient culture that once dwelt in the hills of New England, just as the Spiral was the calling card of the megalithic culture that once dwelt once dwelt in Ireland. 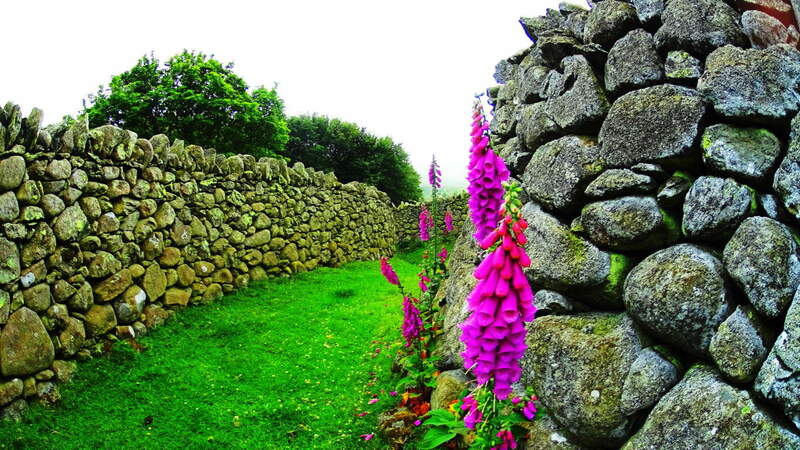 If you recognize this, then you will realize that New England, in its own way, is a landscape that is just as mythical and beautiful as those traditionally endeared in England, Ireland, Scotland, and Wales. 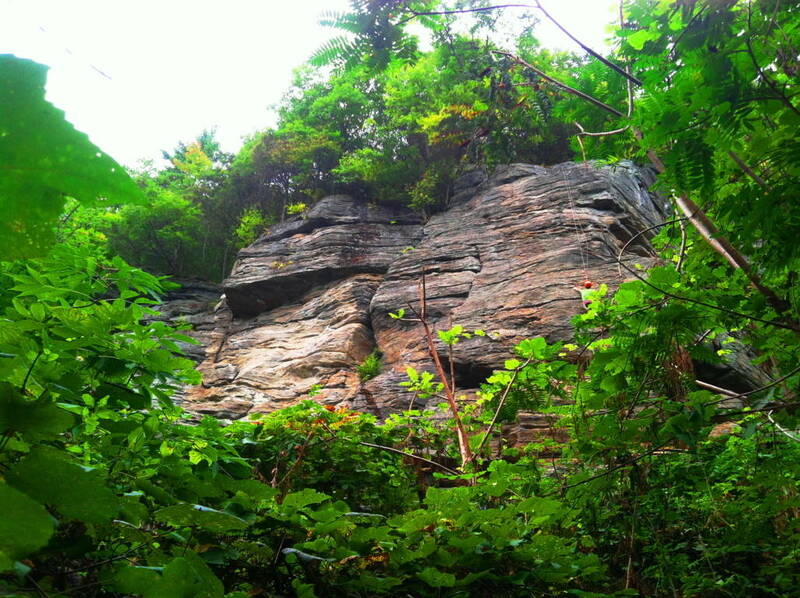 When you hike through these small mountains, you’re hiking through zones of ancient mysteries yet to be solved, but can be seen right before your eyes. 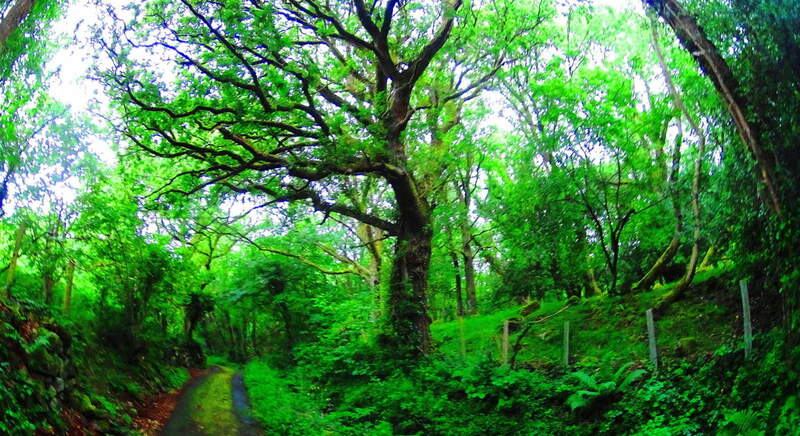 The trees of woods are spaced amicably, with small groves of baby pines and birches emerging in various areas. 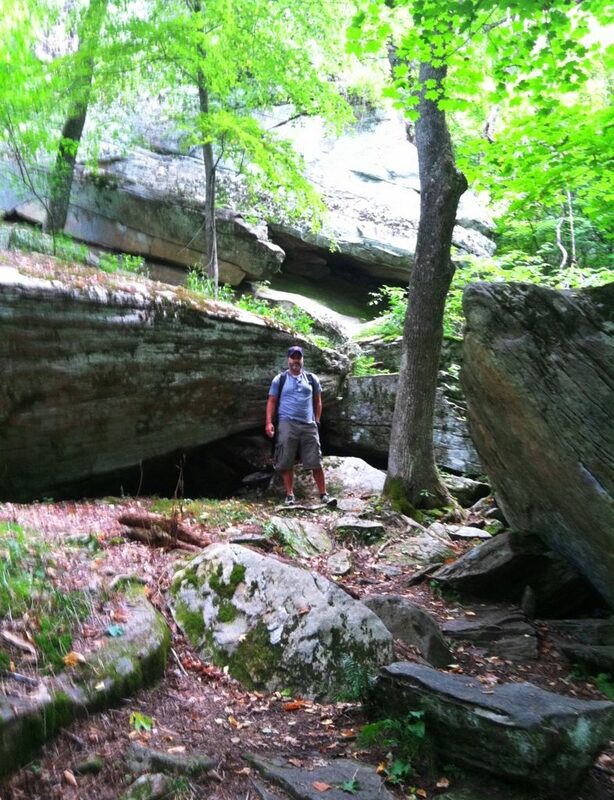 Enjoy these beautiful groves (image below )… With all of this existing right infornt of you, it can be hard to get back to the natural beauty of the trail ahead, which is another wonderful aspect to hiking the forests of New England and Rattlesnake Mountain. 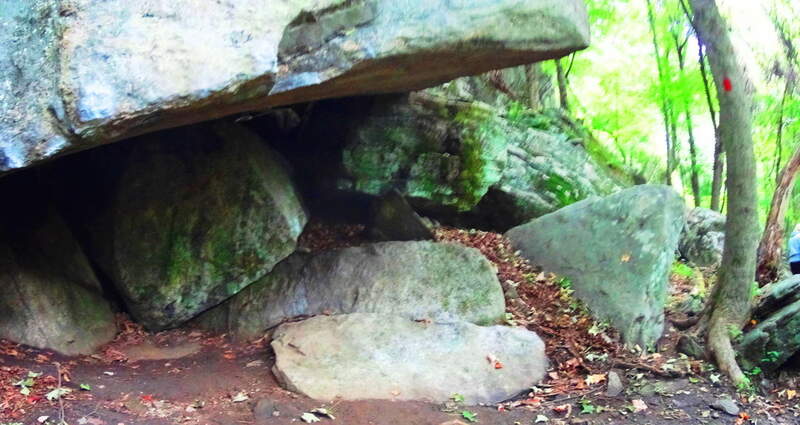 As you step away from these mysterious alters beneath the grand ledge, continue east. 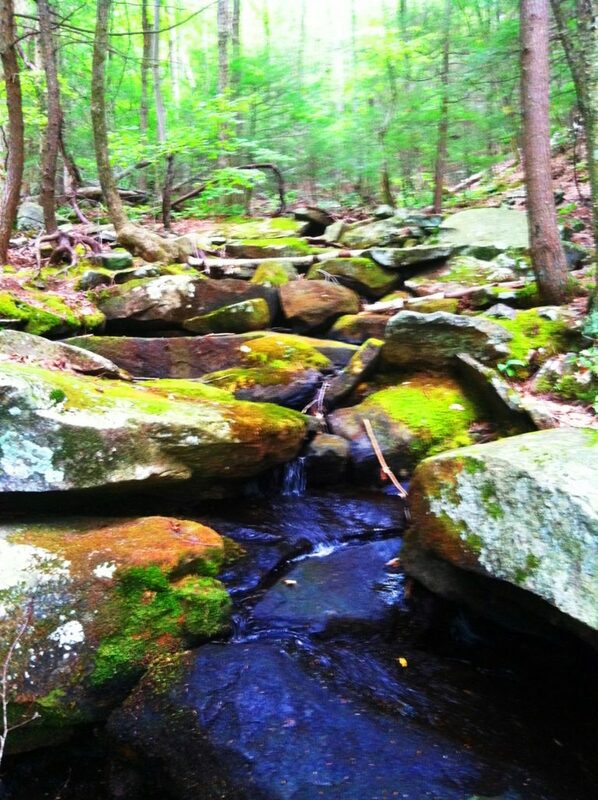 After about 1/4 mile you will come to a stream rolling down the mountain from above (image below). 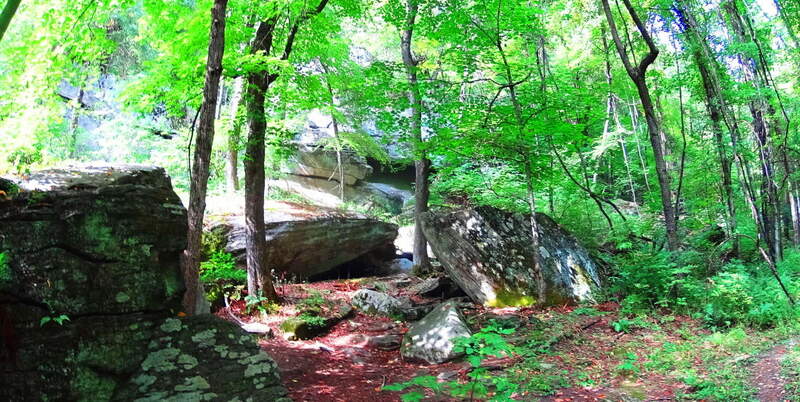 Turn to follow this stream upward, as you are now on the eastern extremity of the trail (image below). 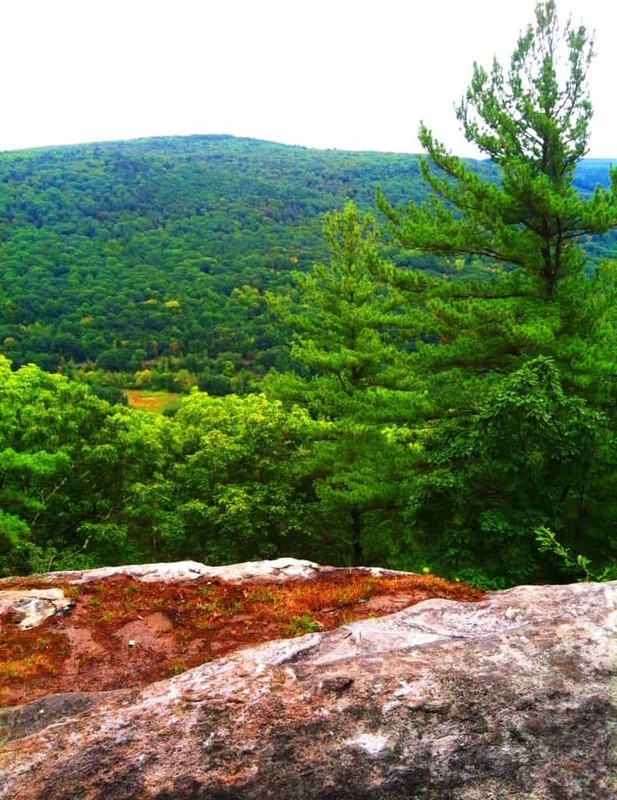 After taking in this view, the last portion of the loop descends back along Farley Ledge to the east. 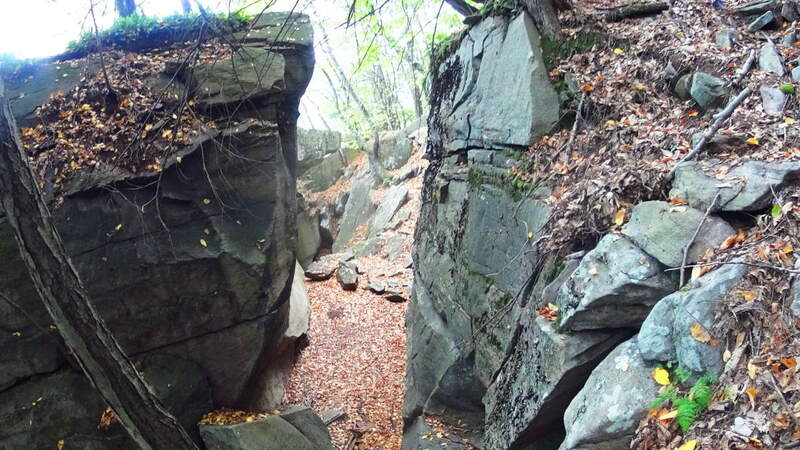 There are miniature canyons below, and gigantic granite walls slicing through the hills (image below)… You will eventually come to a lower crossing of the stream at the eastern edge of the trail, then head back down to the megaliths below at Farley Ledge. 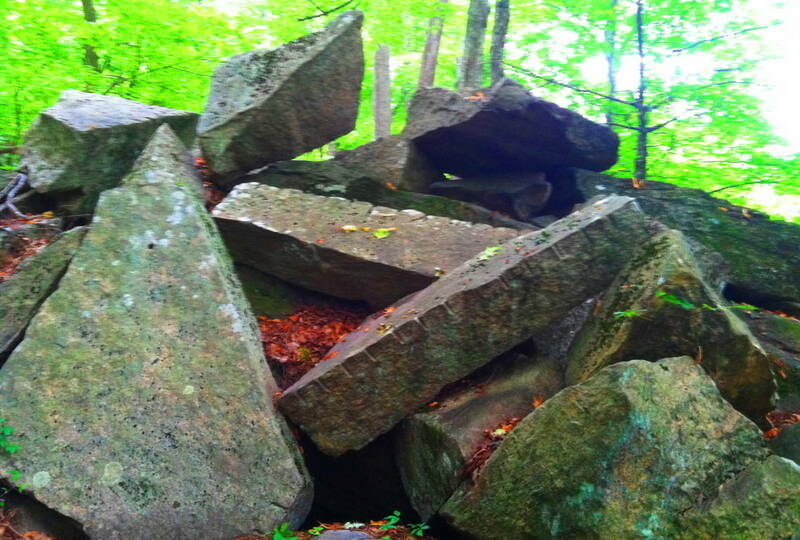 Rattlesnake Mountain is yet another example of classic New England hiking that combines practically magical megalithic statements in the forest and mountains with a pristine hiking experience. 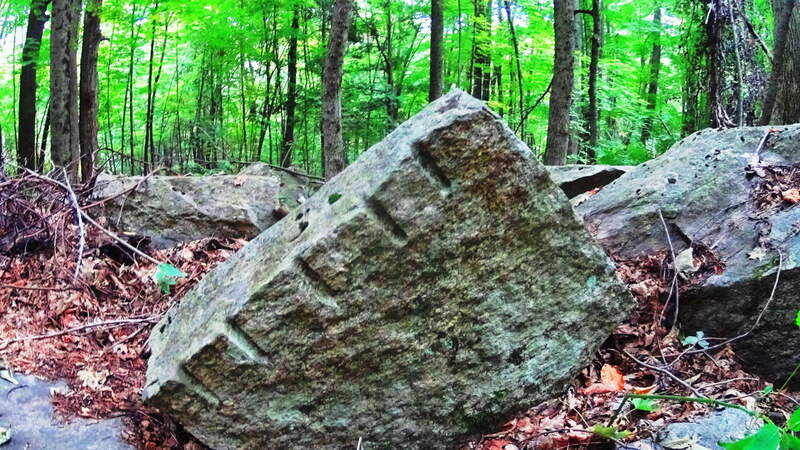 Time after time, forests and mountains of Celtic and New England places reveal a related megalithic mystery yet to be acknowledged by so many academics. 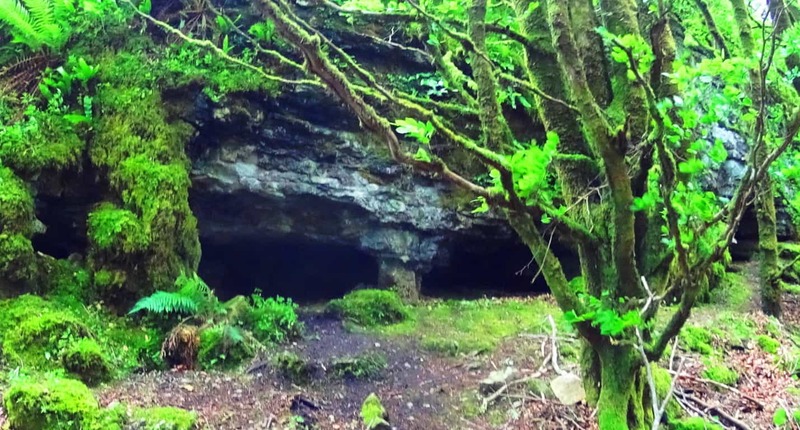 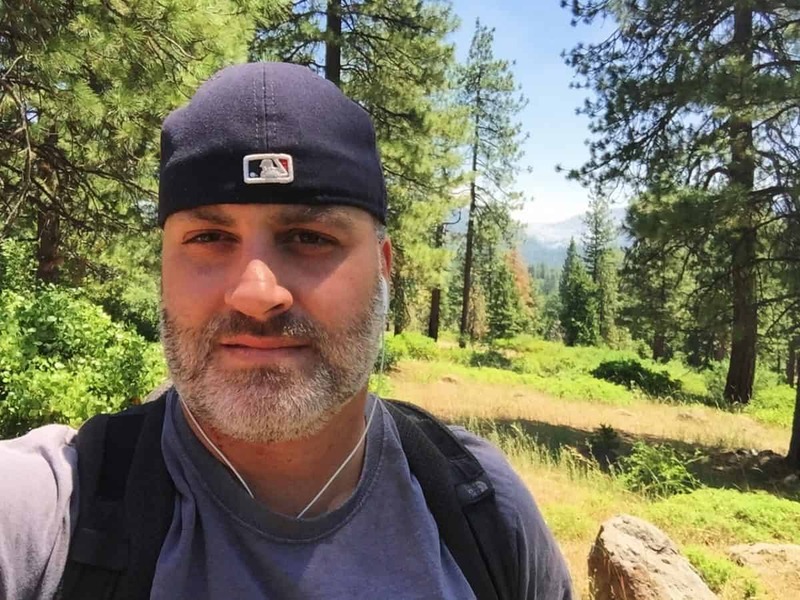 Rattlesnake is clearly one of these sacred places, and it will grant the hiker a vision of something miraculous, something which is calling out to us from a culture that left its mark in a way that will never fade. 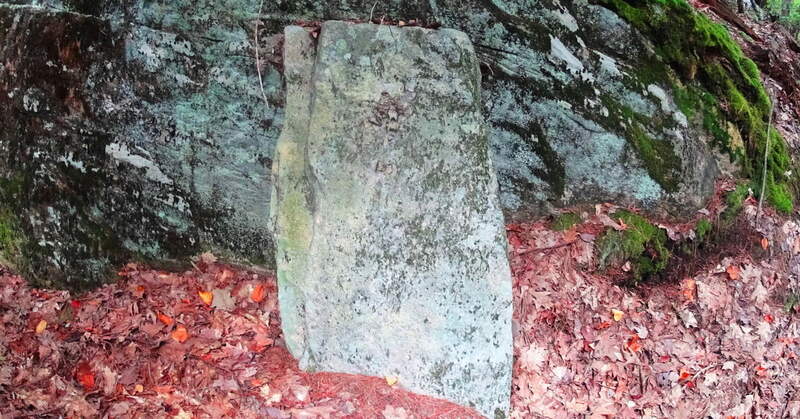 You can touch these signature stones yourself, see the size and scope of them, walk the trails, and simply wander right into the hallowed wonder of it all.